What does a gutter look like? When you think of gutters, you may think about those sections of metal trough that you can buy at the local home renovation store. Those are gutters, but they’re not the only gutter product out there. Seamless gutters are often made from aluminum, but they can be made of materials such as copper as well. 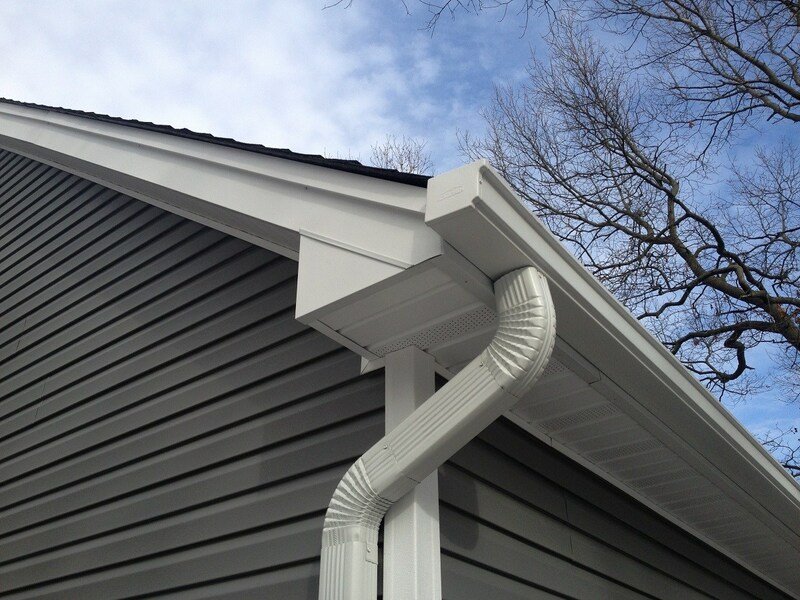 They’re custom-made at your home, and your gutter contractor will make sure that they fit. The majority of houses with gutters don’t have a system that is complete and installed correctly. A properly installed gutter system will include seamless gutters on every sloped roof edge. The gutters should not hold standing water, should not leak, should be securely fastened to the fascias, and should have downspouts that are securely fastened to the exterior of the house. Finally, downspouts should not terminate close to the foundation. This is a common mistake that installers and homeowners make. What’s the use of having a complete gutter system that dumps all the water from the roof at the side of the foundation? What’s needed is a minimum of three-foot diversion away from the foundation. In many cases a section of flexible black plastic diversion piping can be used, or a section of downspout can be attached at the end of the elbow. It’s important to note that the concrete diverters that are often seen under downspout elbows are not adequate for water control. 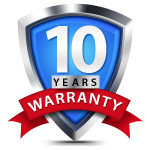 There are many products out there that claim to be maintenance-free leaf guards that keep gutters clean. Some of these products are effective and some actually create problems. The products available are either metal mesh or sheet metal gutter helmets. In some applications these products can tend to dam leaves on the roof which can cause damage to roof decking and eaves. Some of the sheet metal gutter helmets and leaf guards products don’t actually work in a heavy rain. Yes, leaves and debris won’t be in your gutter, but water won’t go into the gutter either. Before buying any of these products do some homework and read reviews of these products online. In some cases good old fashion gutter cleaning may be a better option.